At the time that this page is being written, trade show season is upon us. Almost all major industries are converging upon cities like Las Vegas, to shuffle around the convention center and check out what kind of new gadgets and tools each company has to offer. The construction industry's largest show is approaching as I write this, and my friends who are going are super excited about it. Trade shows can be fun and very profitable if done properly; meaning that if you have the proper promotions and track booth visitors so that you can follow up, you can really do well. 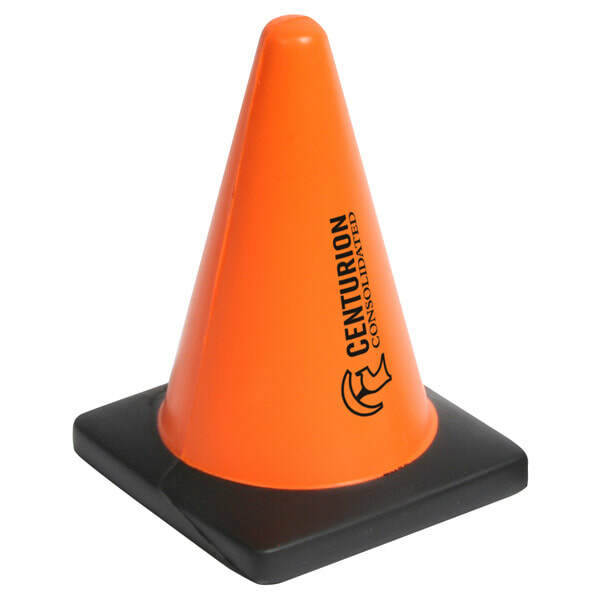 These promotional construction cone stress relievers are a popular giveaway for trade shows, ensuring that your item will end up on a buyer's desk back in Tallahassee or wherever they came from.